Parents, ready for some fun and excitement this school holidays? 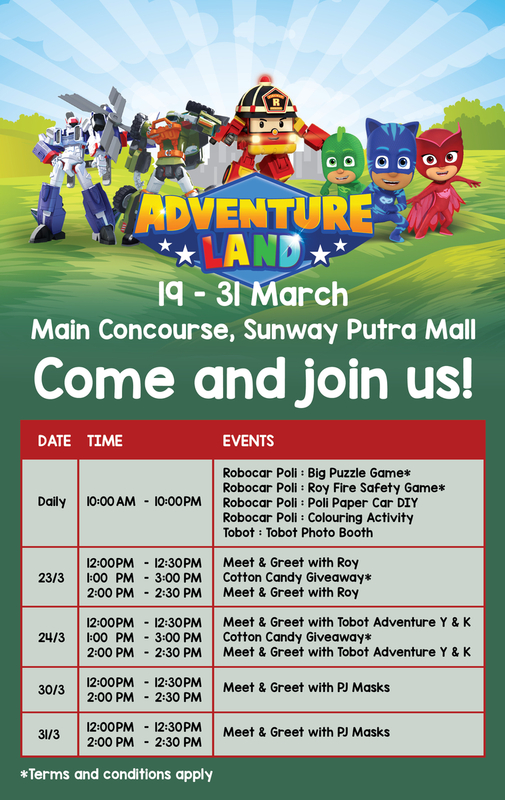 Then bring your kids over to Sunway Putra Mall from 19th to 31st Mar 2019 where their favourite cartoons such as Robocar Poli, PJ Masks, and Tobot are brought to life! 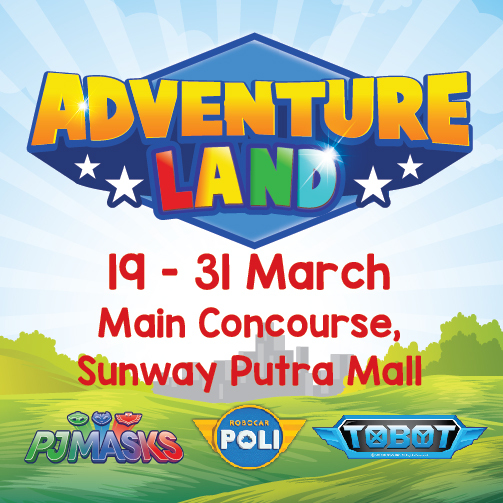 Scroll down for all you need to know about Adventure Land, which is taking place at the Main Concourse of Sunway Putra Mall. 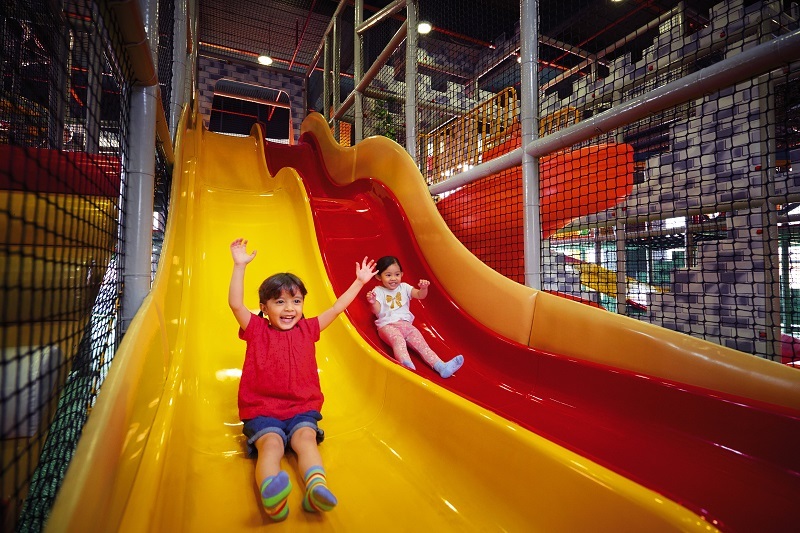 With so many activities lined up, your kids are sure to have a fun-filled adventure at Adventure Land! Stand a chance to win amazing prizes from popular toy brands such as L.O.L Surprise, Hello Kitty, Num Nums, and many more! Meet & Greet All Your Favourite Heroes! Spend the day in Brooms Town with Roy from Robocar Poli! Roy is a red-and-yellow fire truck who is the strongest member of the rescue team. With his many gadgets, he always helps to save the day! Roll up to Roy and say hi! Is your child a fan of Tobot? Get ready to meet Tobot Adventure Y and Tobot Adventure K! Tobots have the ability to transform from cars into robots, and these brave robots often fight crime and save their neighbourhood! 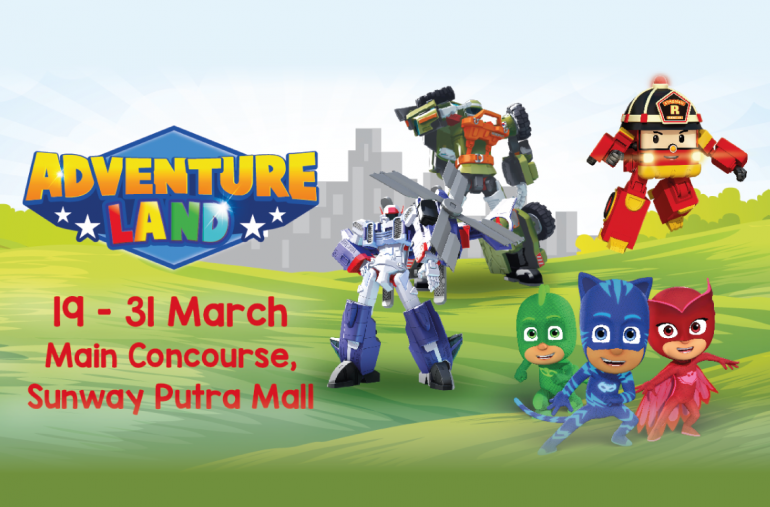 Register as a Putra Junior Club members today and get an Express Lane to meet PJ Masks on 30th and 31st March at 2pm while Autsome Members gets to Meet PJ Masks at from 11:00am to 11:30am and enjoy the activities prepared from 10:30 to 12pm! Got a sweet tooth? There’s cotton candy giveaways to satisfy your kids’ candy cravings! 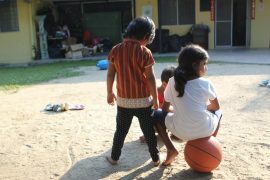 There also all sorts of fun games and activities daily! Join in the Robocar Poli-themed events with the Puzzle Game, Roy Fire Safety Game, Poli Paper Car DIY, and Colouring Activity. That’s not all! Celebrate all your happy memories here at the Tobot photobooth where you can snap photos with beloved Tobot characters such as Tobot Adventure X, Tobot Adventure Y, Tobot K, and Tobot Mach W.
Got active kids who just love climbing and running around? 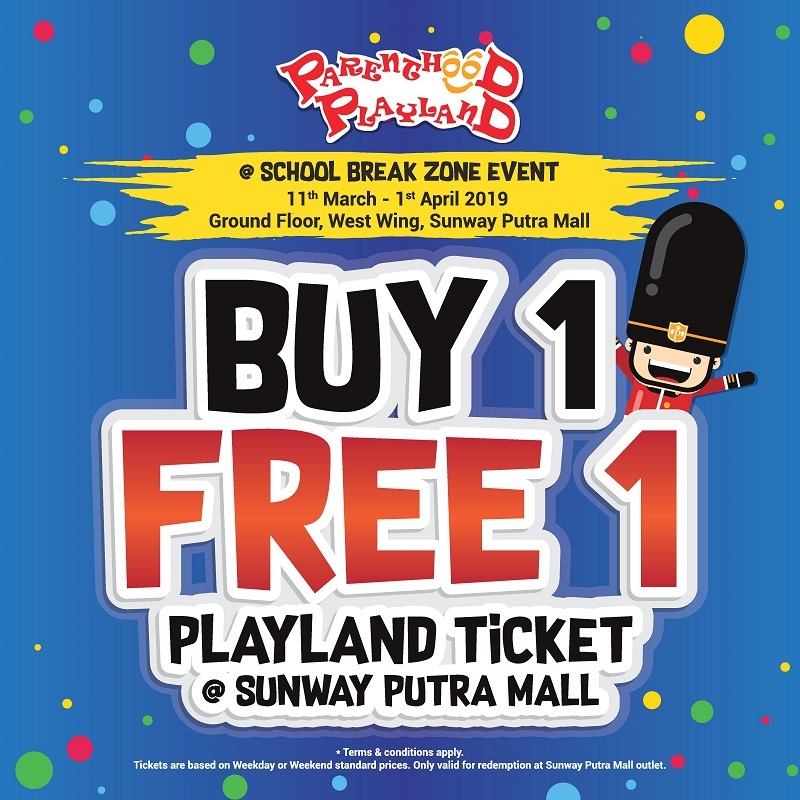 Drop by The Parenthood Playland to enjoy a Buy 1 Free 1 promotion, from 11th to 1st of April. If you’re an animal lover, you’re in luck! 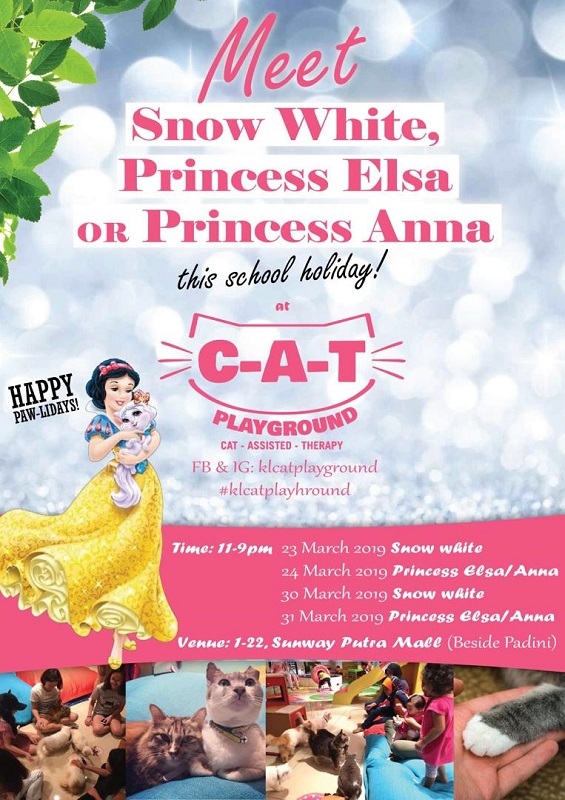 The CAT Playground at Level 1 is a Happily Ever After place for cats, children, families, and couples. 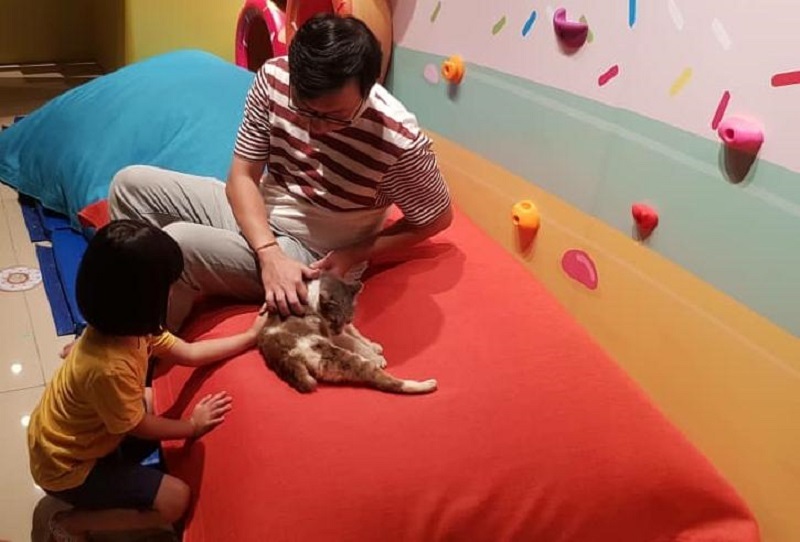 CAT stands for Cat Assisted Therapy, and it’s the first of its kind in Malaysia. Come say hello to our furry friends as you walk around in the therapeutic playground where visitors can play with rescued cats! Can’t get enough of Sunway Putra Mall? 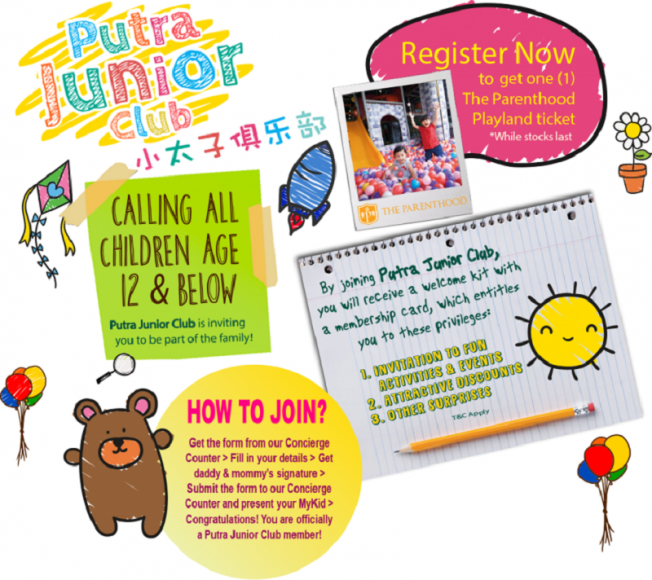 Then sign the kids up for the “Putra Junior Club” to receive exclusive invitations to fun activities and events, as well as attractive offers and discounts at selected outlets. Register now at the Concierge Counter on Level G and get a free gift when you sign up! 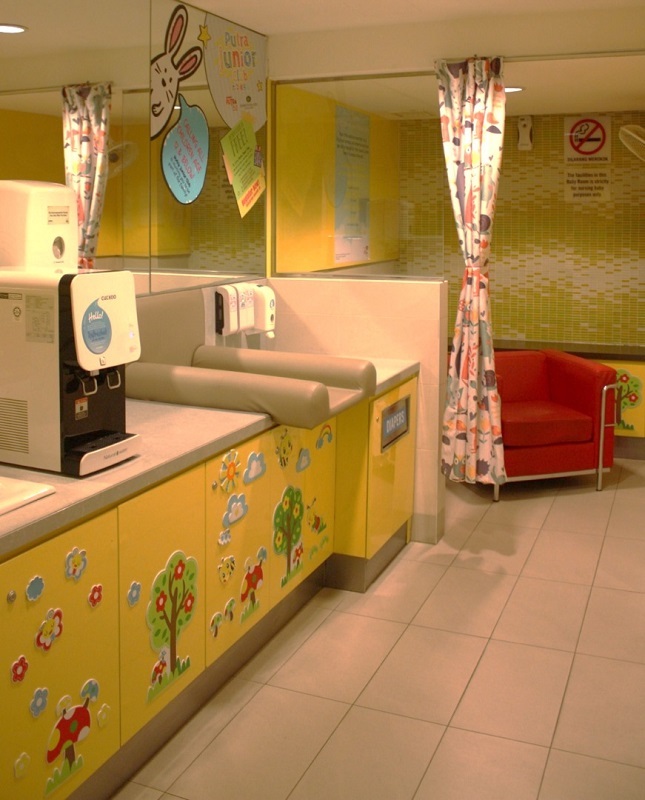 By the way, we love that Sunway Putra Mall’s baby rooms* are equipped with Cuckoo water dispenser for added convenience. That’s a major brownie point in our book! To find out more, check out Sunway Putra Mall’s website, and get all the latest updates from their Facebook and Instagram pages! 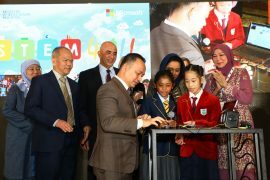 This article is published for Sunway Putra Mall.